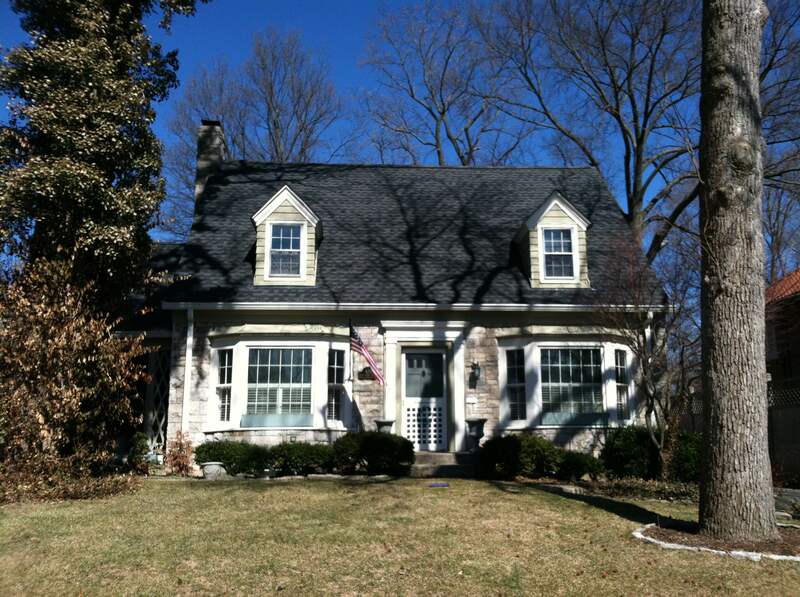 Nestled into the 55 hundred block of New Jersey Avenue in the historic Meridian Kessler neighborhood, sits a cottage oasis. 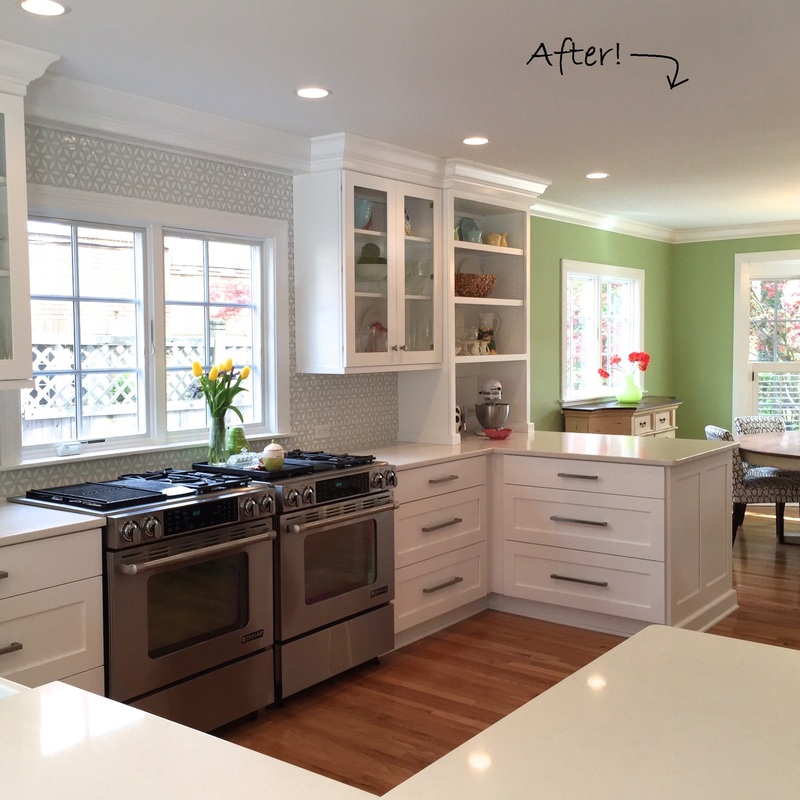 The owners have been living in this location for over 20 years and approached us to renovate the home for their growing family of grandchildren! The first level called for a complete overhaul from a closed off design to a modern open layout that encourages cooking, lounging, and playing all together. The typical challenges of blending old and new existed but the overwhelming successes were the little details that evolved in the process. 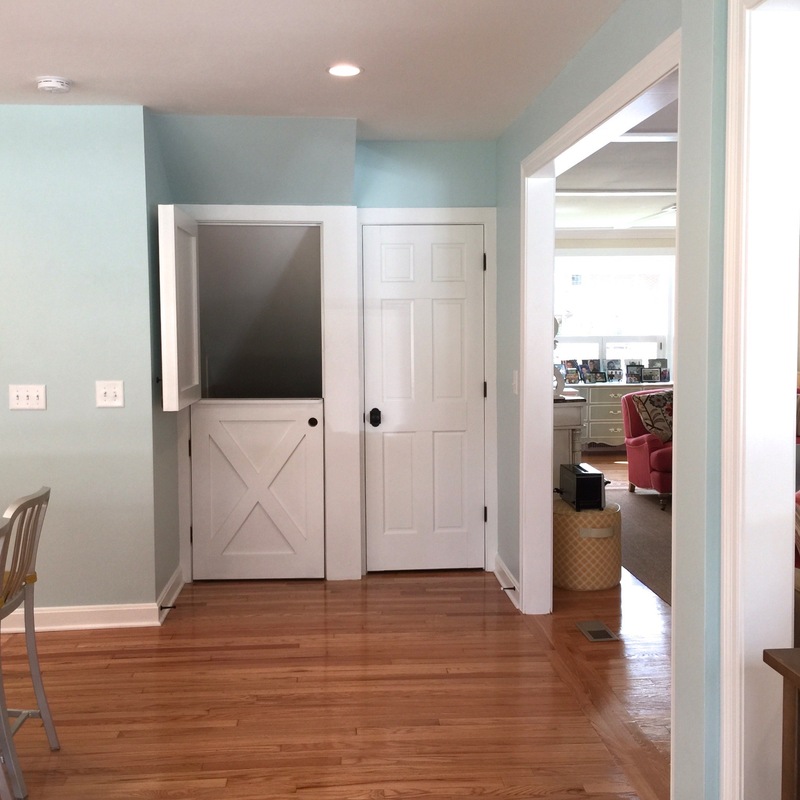 From the barn doors concealing the living room television, to the dutch door leading to the backyard, to the kitchen backsplash, this home feels like a never ending stay-cation. 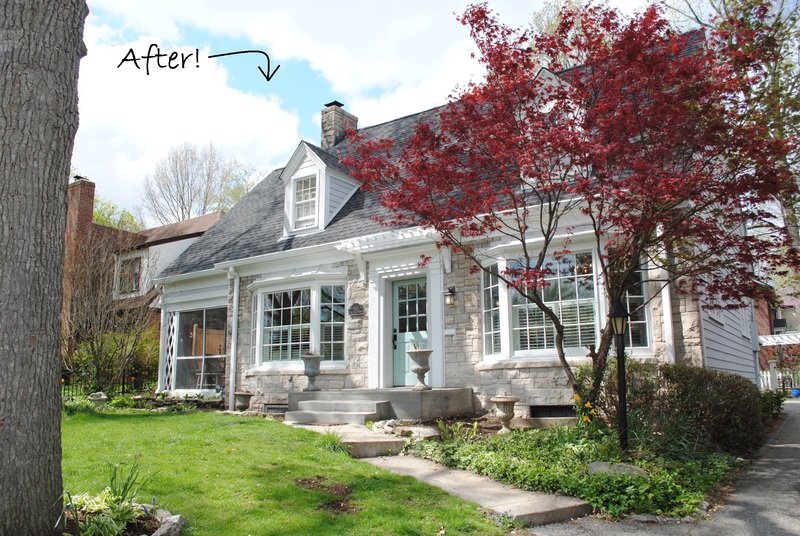 On the exterior of the house, we lightened up the paint on the trim of the house and the upstairs dormers to give the front a fresh new pop of life! 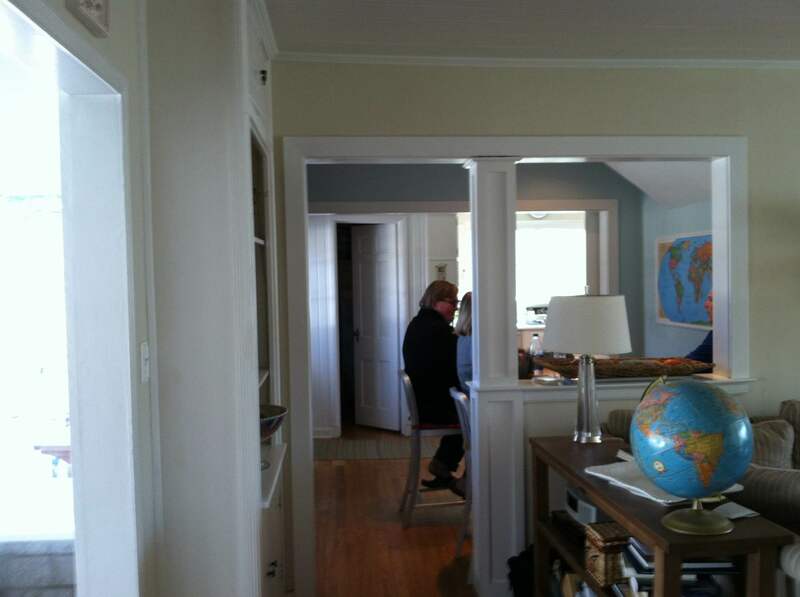 The original hardwoods were salvage and refinished throughout the home. 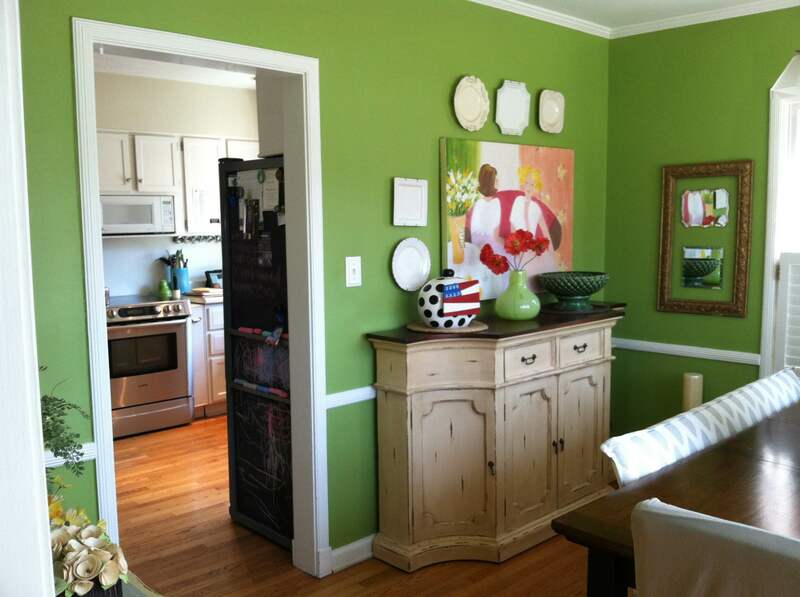 You can see that we kept some of the same paint colors because the owner loved them so much! 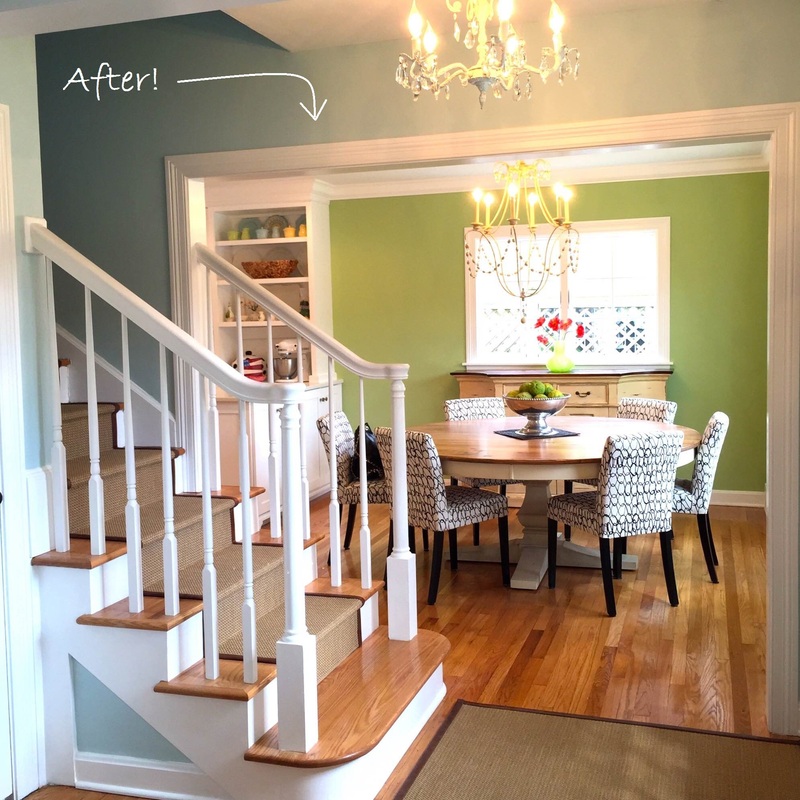 The opening between the staircase in the front entry and the dining room doubles the size of the space and invites individuals to this side of the house. 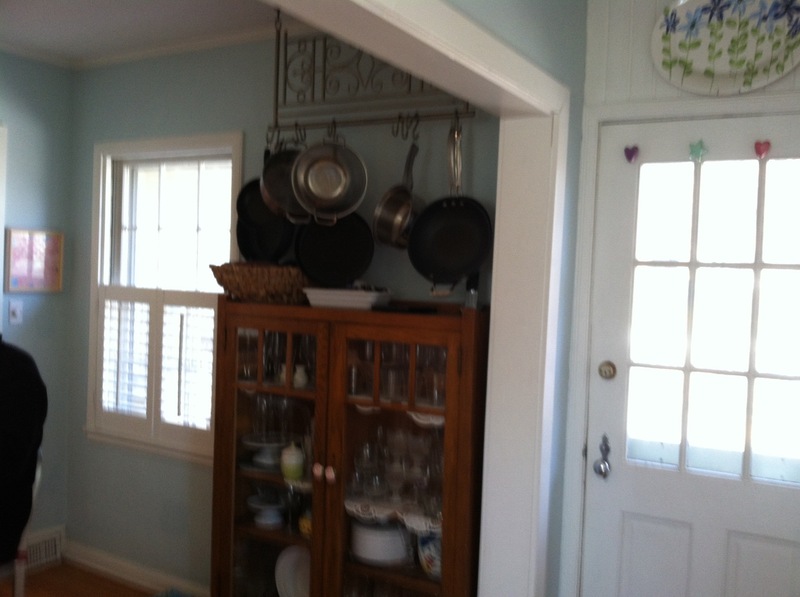 If you look through the door in the "Before" photo below, you will see the opposite wall with the stove closed off with a backdoor and a breakfast nook to the side. 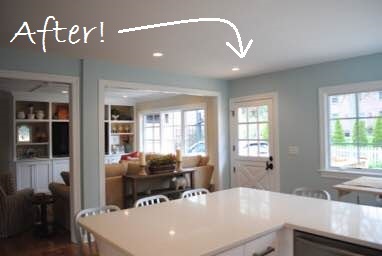 We blew out the kitchen wall and added on to the back of the house to create an open floor plan on the entire east side of the house. 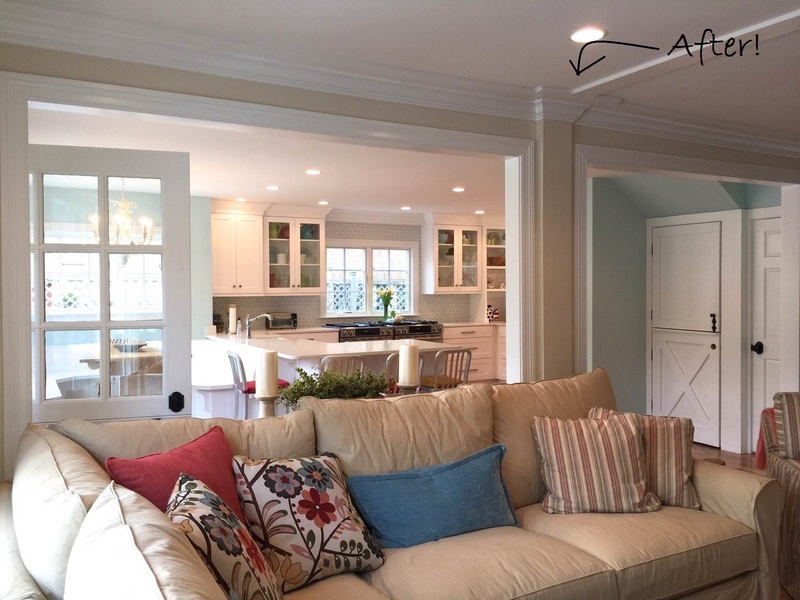 The original cased opening was doubled when we took down the wall dividing the sun room and living room and blew out the back of the house. 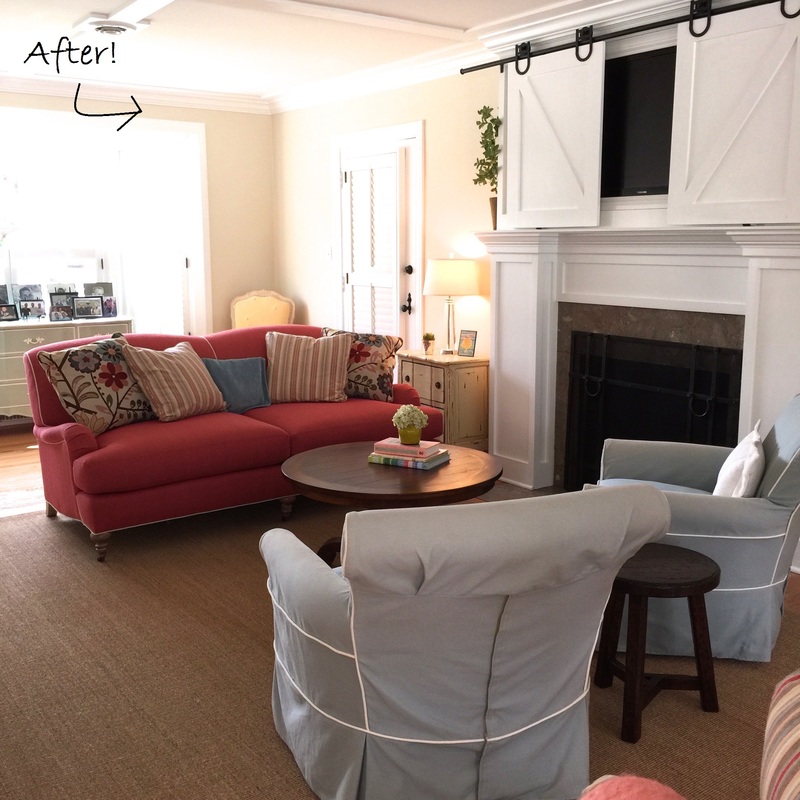 Again, this further enhanced the open concept the owners' wanted and gave the house a natural flow. 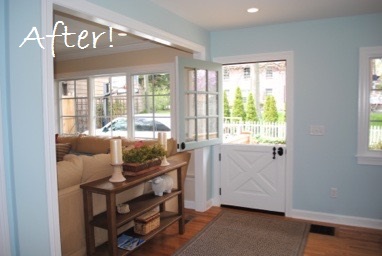 We also increased the size of all the windows to let in more natural light! This angle captures the addition we added to the back of the house, taking down the back kitchen wall & the sun room wall, and doubling the cased openings. 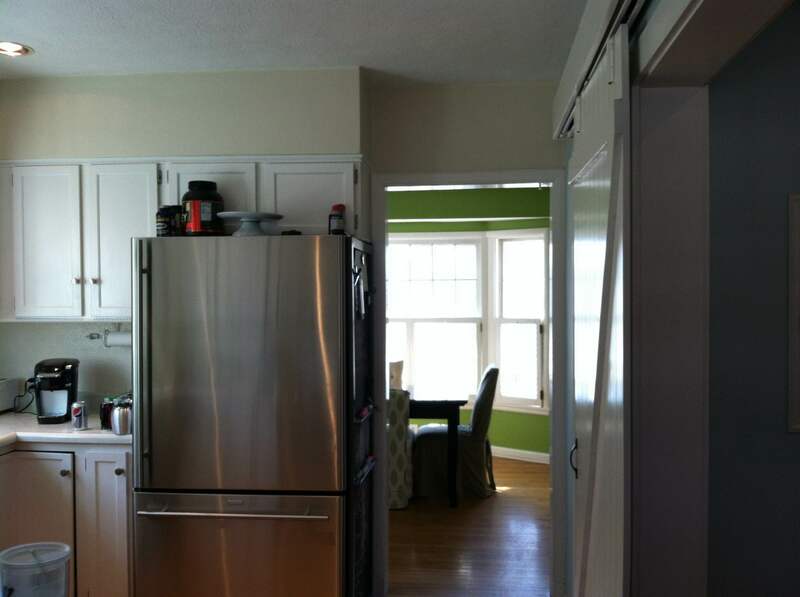 Everyone can truly cook, eat, play, and lounge all within chatting distance of one another....a true open concept! 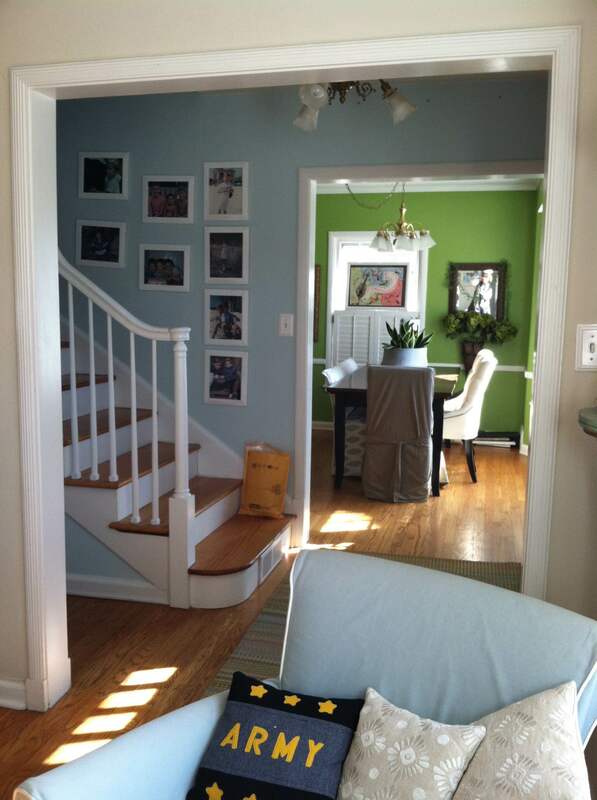 Originally the west side of the house consisted of the formal living room in the front and the sun room in the back. 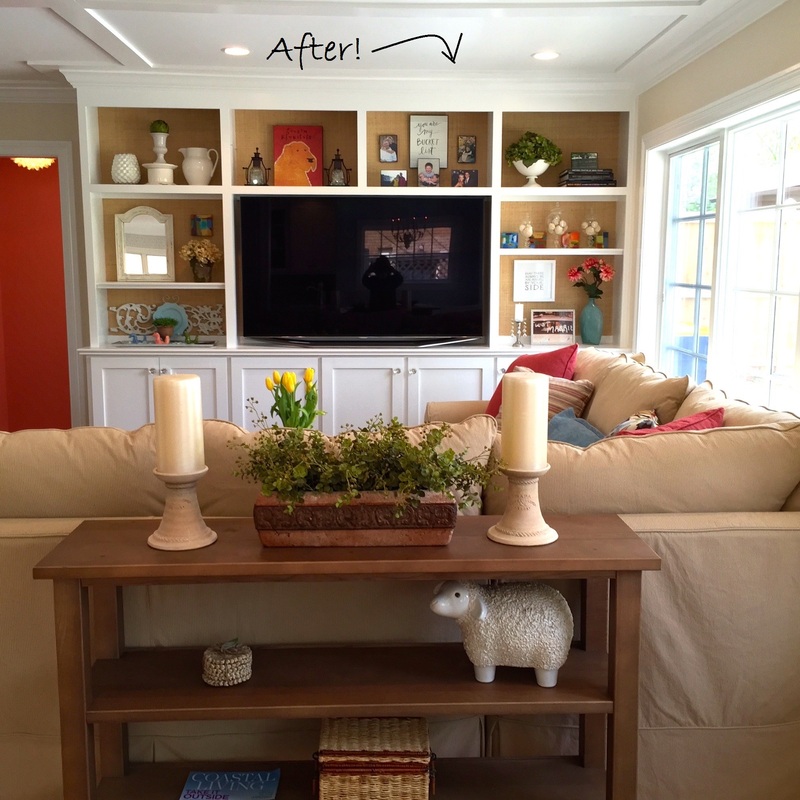 Taking down the wall between the two rooms brought new life to this home. 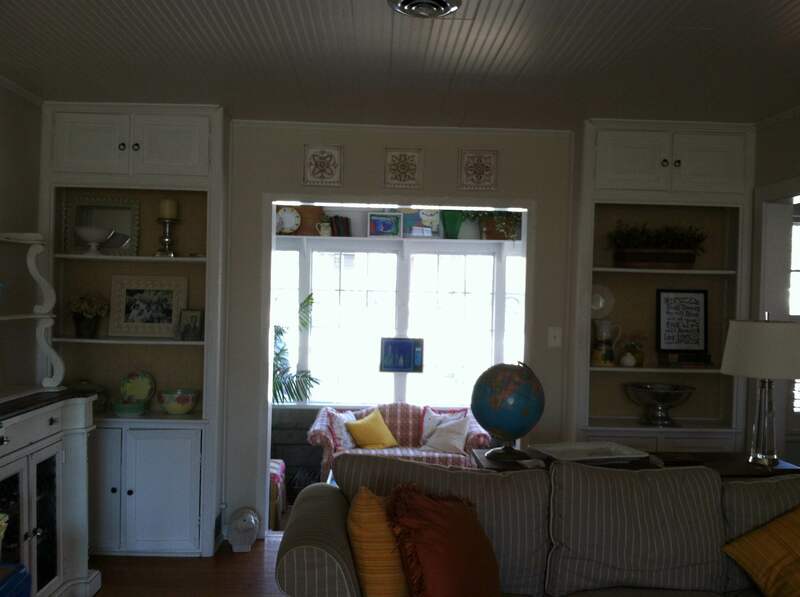 Natural light flows in through the back that each sitting area can enjoy. 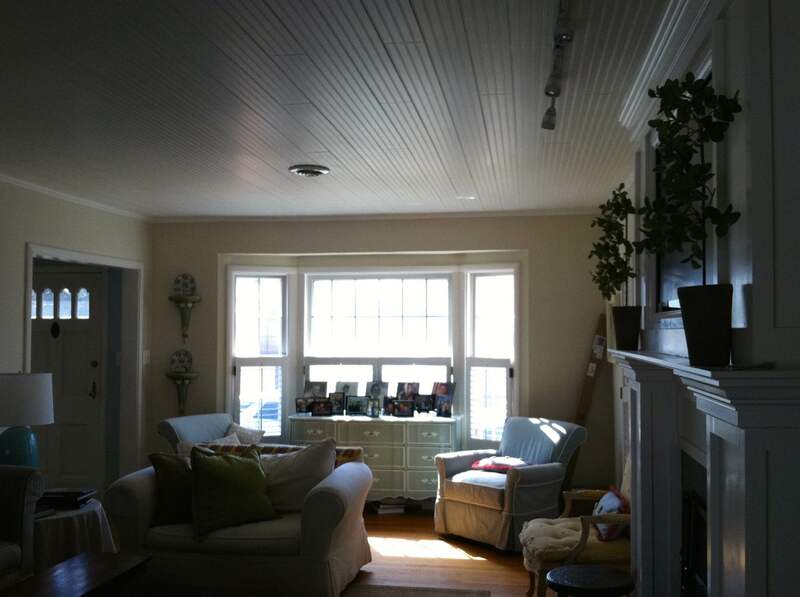 The Before and After photo here clearly shows the benefits of taking down the sun room wall and expanding the back of the house...lots of sunlight! 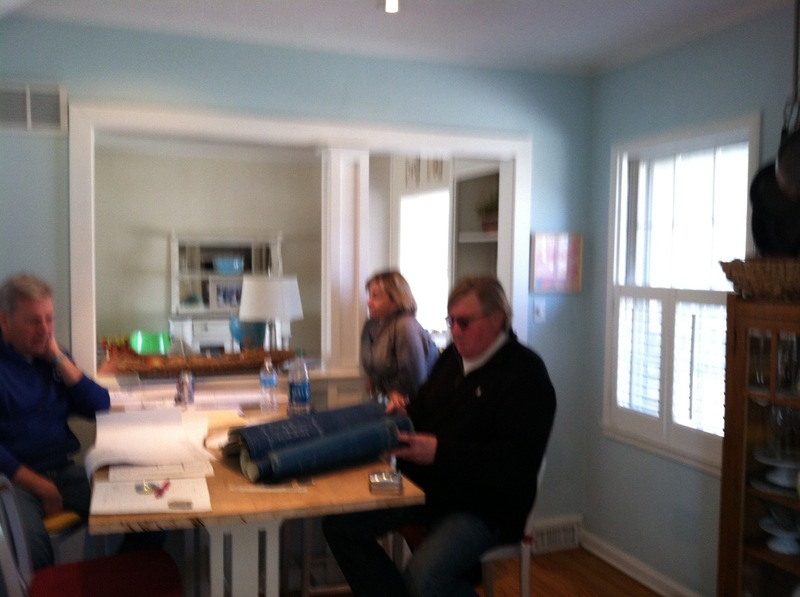 Preserving the historical integrity of a Meridian Kessler home while incorporating the wants and needs of the client can be quite the task BUT as former Meridian Kessler residents, it's one of our favorite kinds of jobs! 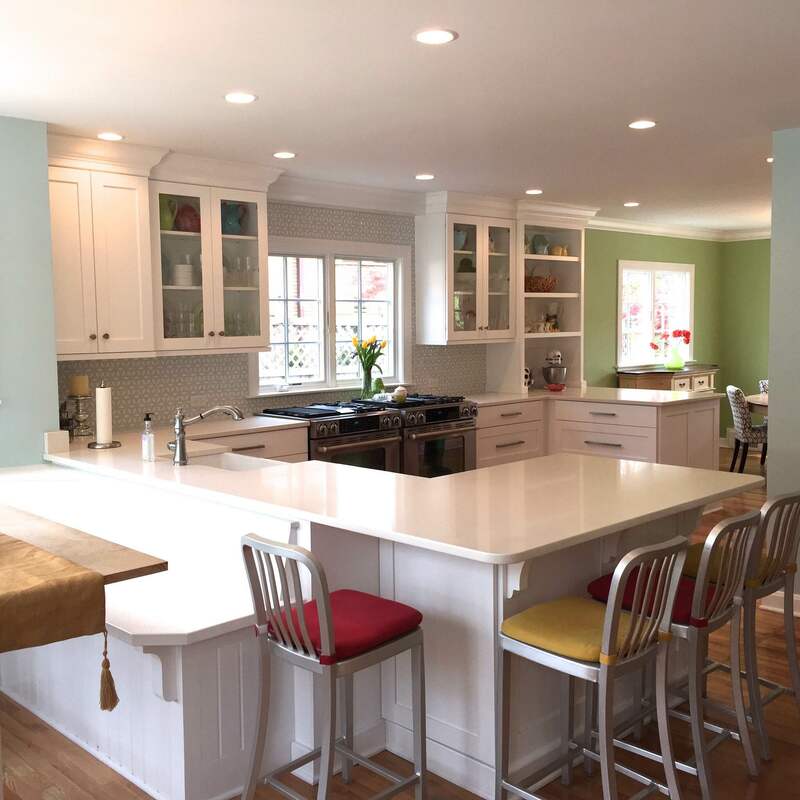 Creating an open concept was imperative to make this home feel twice the size for all the children and grandchildren that are coming in and out on a weekly basis. Some aspects of design are difficult yet rewarding while others are just plain fun. Below are all the fun little details we were able to add as icing on the cake to this cottage oasis! To keep with the "flow" of the house, we created a bar height booth off the kitchen that serves as continuous seating space to the kitchen bar overhang. 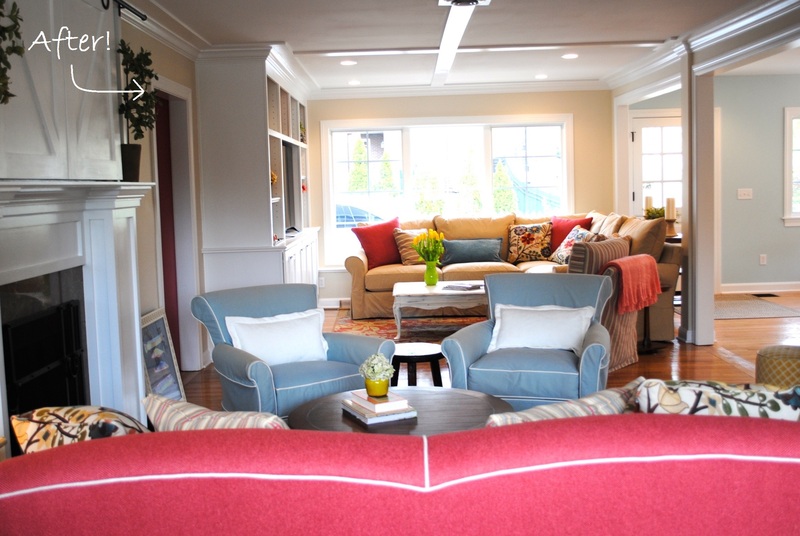 One of the consistent themes was making this home feel bigger than it really is. 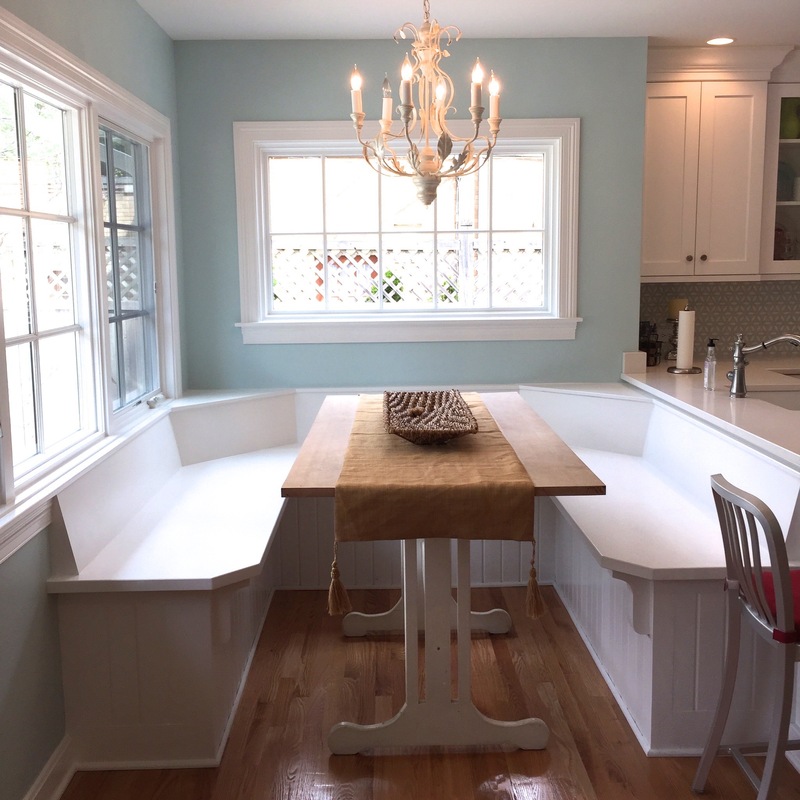 This fun bar height booth and Kitchen overhang accomplishes that buy creating ample space for everyone to eat and hang in this area of the house. 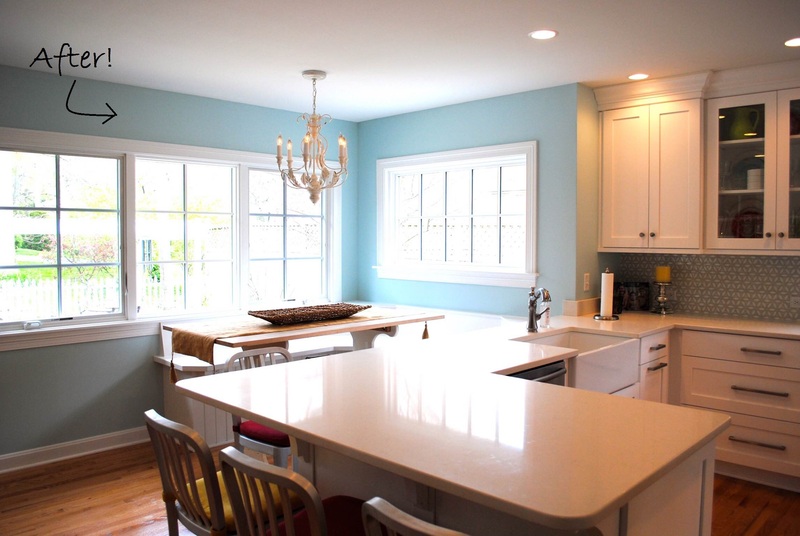 Custom shelving and cabinets is always an added bonus to make a kitchen really feel like your own. 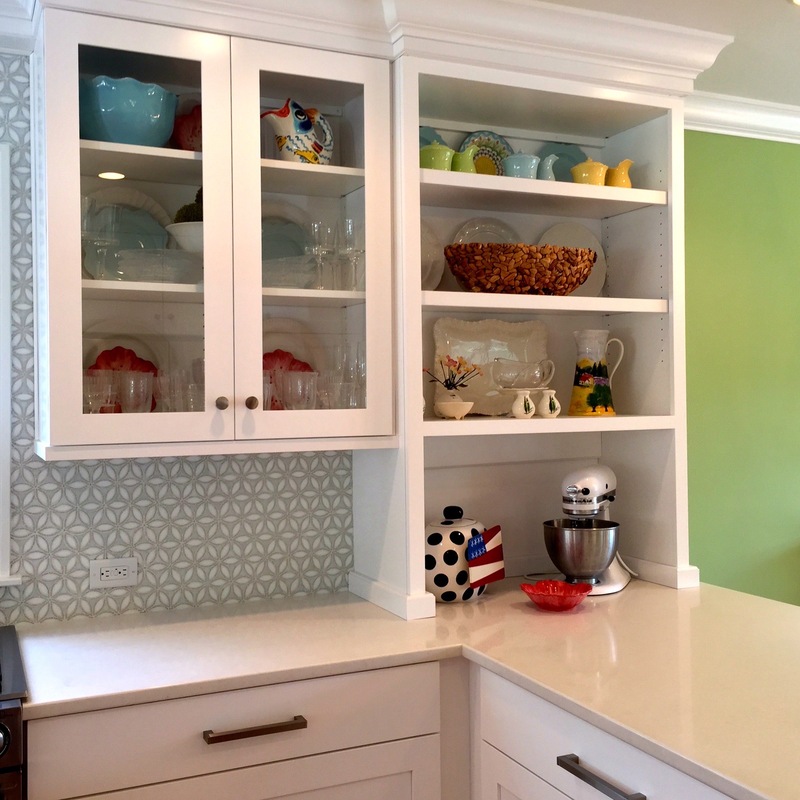 Glass cabinet doors are a fantastic way to add more design and life to your kitchen but you have to remember to stay organized so they don't create a cluttered feeling! Many people have asked "I love the two ranges!..but why?!". Why not? 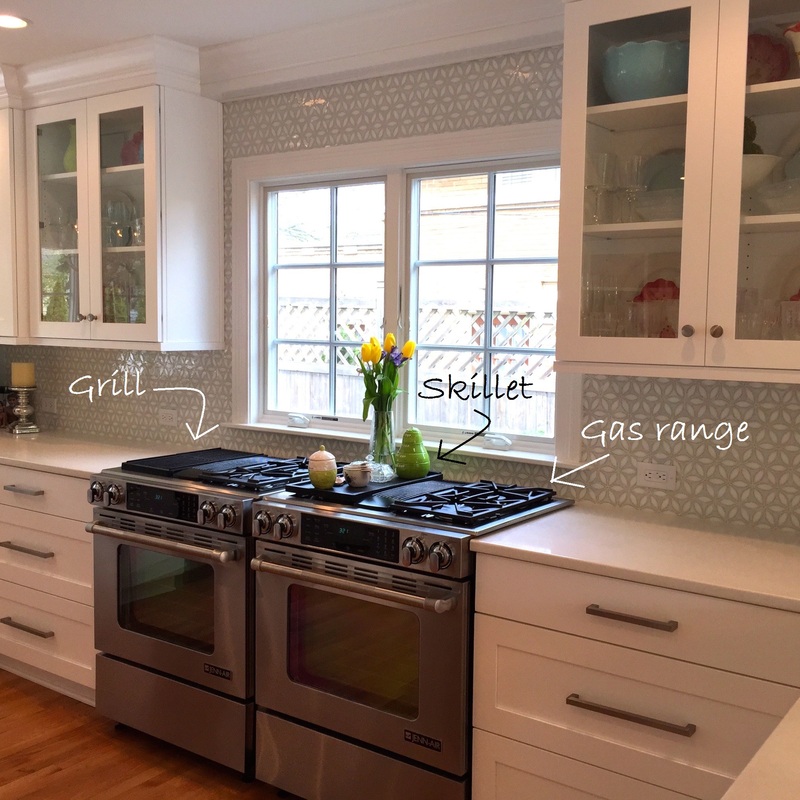 Two ranges gives you two separate ovens to cook in at the same time and ample cook top space with 4 burners, a skillet and a stove top grill. 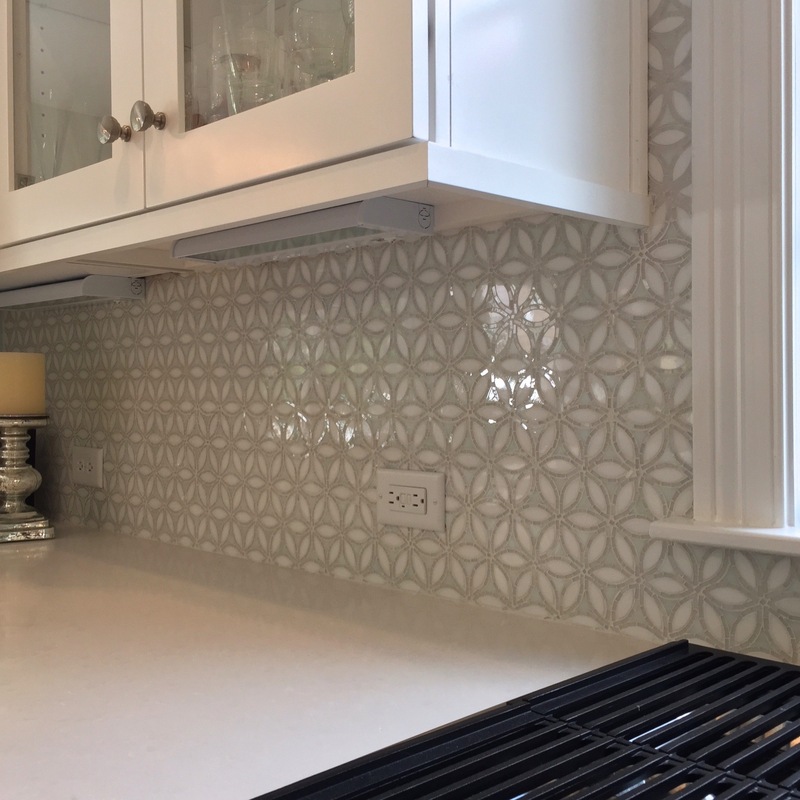 The contrast of the kitchen back splash is the focal point of this space. From afar, the subtle colors sooth the eye and create a feeling of coziness. 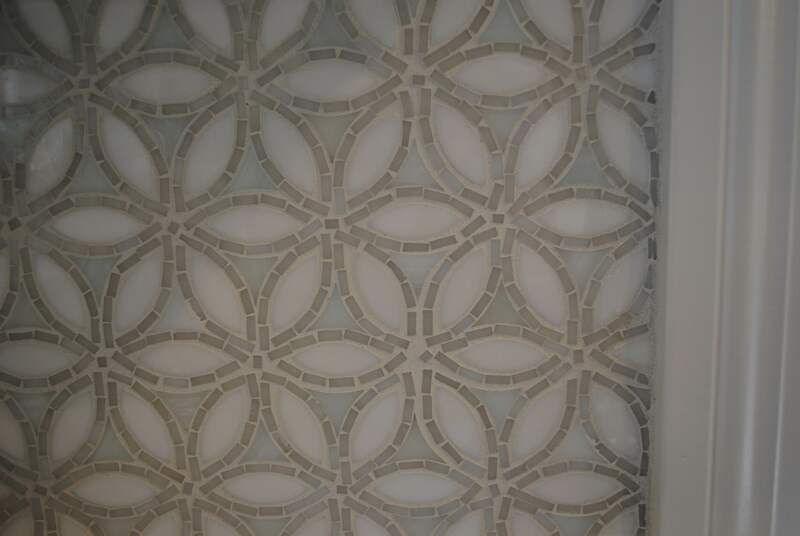 Up close, the eye realizes the complexity of the mosaic and why it's such a powerful piece in the house. 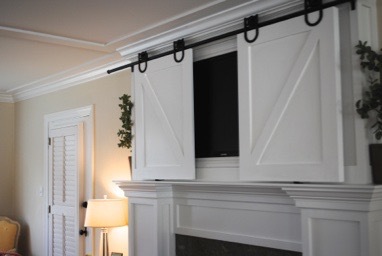 Sliding barn doors conceal a television in the main living room. From the entry to the basement to the back of the house, dutch doors were used throughout the house. Adding glass paneling to the top half of the back dutch door allows natural light to flow through whether it's open or closed. 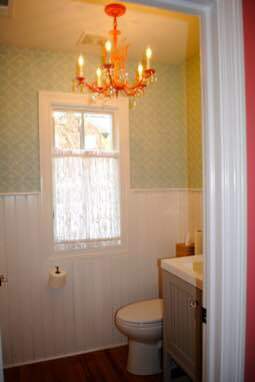 Wainscoting in the bathroom heightens the space while a custom sink and bright pink chandelier breath new life into this smaller space. 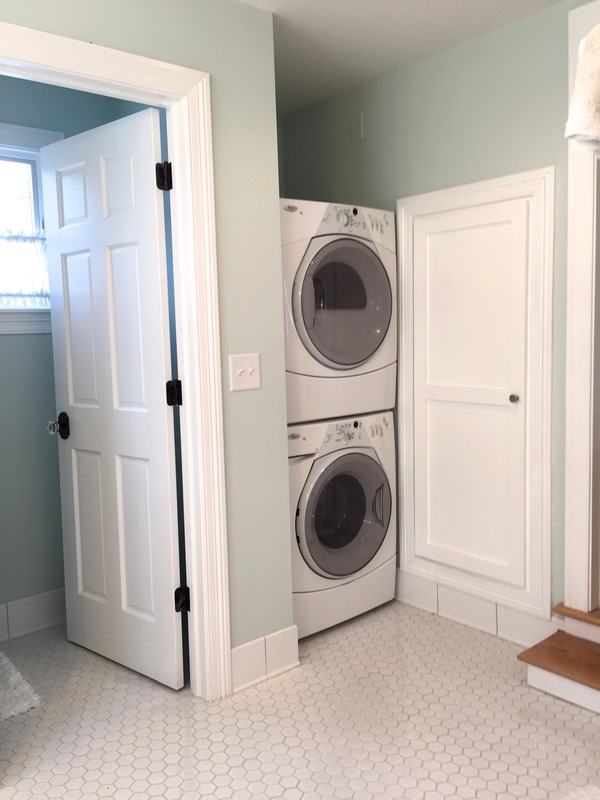 Stacking the washer and dryer is not only a space saver but it also fills an otherwise unusable space. 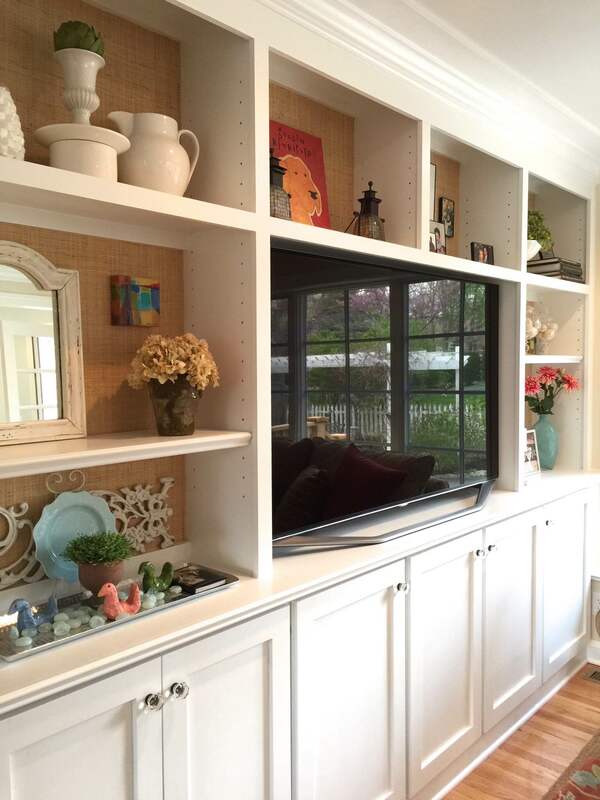 Lining the back of the custom bookshelf with grasscloth wallpaper makes the entire piece POP.